A popular impression that the first slaves in Canada were introduced into the Maritime Provinces by the Loyalists in 1783 is false. Historical records indicated that slavery was established in Quebec, by the French, through a royal mandate issued by Louis XIV in 1689. This mandate not only gave permission to “Canadians to avail themselves of the services of African slaves”, but declared as well that all negroes who had been so bought or held should belong to the person so owning them, in full proprietorship. This system was given further legal recognition through a number of royal declarations regarding slavery and slaves in 1721, 1742 and 1745, making it possible for slaves to be listed often with “effects and merchandise” in parish records, legal notices and the official documents of the times. As time passed it was not unusual to see ads appear in the newspaper for slaves. From the royal mandate in 1689, it took approximately sixty years for the practice of slavery to reach Nova Scotia. When the Loyalists arrived in 1783, slavery was already flourishing. Thirty-five hundred Black people who fled from Southern States during the American Revolutionary War arrived in Canada with the Loyalists. The British had promised them protection, land, and a better life. Between 1783-4, some 1232 Black slaves were brought by British masters into Nova Scotia, New Brunswick and Prince Edward Island. Of this number, 26 went to Prince Edward Island and 441 went to New Brunswick. The number of slaves in Upper Canada during the Loyalist immigration was estimated to be about 500 while Lower Canada accounted for 304. Of a total of some 2000 slaves who entered Canada in 1783-4, more than half that number were distributed in the Atlantic Provinces, with Nova Scotia receiving the largest consignment, Annapolis Royal leading with 230 and Digby second with 152. The treatment of slaves in Canada was just as severe as their treatment in the United States. They were punished when they disobeyed their master and in some cases they were whipped, tortured or murdered. Eventually laws were passed which made killing slaves as serious a crime as killing a freedman. Slavery began to decline in the opening decades of the nineteenth century due to a combination of factors that made slavery uneconomic in Canada, including the opposition of the law courts throughout British North America from the third quarter of the eighteenth century. 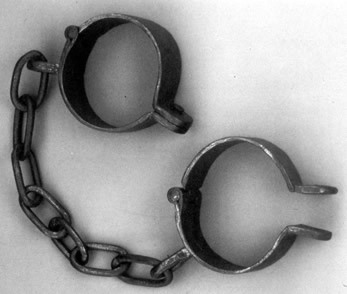 When slaves were legally emancipated as of August 1, 1834, there were very few slaves in British North America who had not already obtained their legal freedom. On that date 781,000 slaves were set free in the British Empire. A hundred million dollars were distributed by the British Government to compensate slave owners. Not a single dollar was paid in Canada since no claims for compensation were submitted. The institution of slavery was no longer of consequence. Slavery is a part of our history and culture that we should not ignore or find humiliating. Our ancestors were captured like animals, treated as property, separated from their families, and routinely subjected to even more unbearable treatment. Surviving this made us a strong people, empowered to rise above racism. The magnificent contribution that Africans made to society is a legacy we must convey to future generations in all walks of life.